The Bank of Canada publishes foreign exchange (FX) rate data for 26 currencies. A single rate reflecting the daily average exchange rate per currency pair is published each day by 16:30 ET. These 26 currencies reflect the vast majority of FX transactions conducted against the Canadian dollar. Their selection reflects the combination of the top 20 currencies by trading volume (based on the Bank for International Settlements triennial FX turnover survey) and those of Canada’s top 20 trading partners (based on Statistics Canada’s International Merchandise Trade Database). The currencies are reviewed and adjusted, if required, every three years. As of 1 May 2017, the Bank no longer publishes updated data for exchange rates published under previous methodologies, including daily noon and closing rates as well as high and low FX rates. Past data, however, remain archived on the Bank’s website. For more information, see the associated press release or the calculation methodology document. be consistent with similar changes undertaken by other central banks. In 2014, the Bank conducted a broad public survey to gain a fuller understanding of the impact of these changes. The Bank delayed implementation of the changes for one year and communicated the changes well in advance to give users ample time to adjust, including seeking out alternative sources for rates. The Bank consulted with several federal government organizations on the changes and notified the relevant provincial authorities and industry association groups. The Bank provided a two-month window, from 1 March to 28 April 2017, during which both new and existing FX rate data were published concurrently. As of 1 May 2017, the Bank continues to publish exchange rates for 26 currencies, as a public good, for statistical, analytical and informational purposes. Why did the Bank reduce the number of currencies for which it provides exchange rates? Findings from the Bank’s 2014 survey, together with Bank data, suggest that many currencies calculated under the previous methodology were infrequently accessed. The Bank decided to limit its published rates to those that represent the majority of FX activity against the Canadian dollar and are readily tradable. This is consistent with practices at other major central banks. 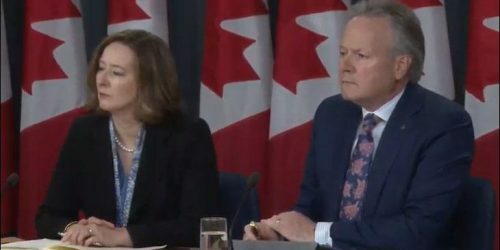 The Bank changed its calculation methodology to reflect the average observable rate throughout the Canadian business day, rather than at a single point in time. This reinforces the distinction between exchange rate fixings used as benchmarks for transactional purposes and Bank of Canada exchange rates that are provided as a public good, for statistical, analytical and informational purposes only. 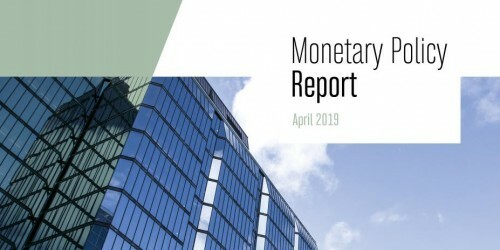 The changes were undertaken in the context of broader international official sector work on the design of FX reference rates, including recommendations from the Financial Stability Board on FX benchmarks and the Principles for Financial Benchmarks published by the International Organization of Securities Commissions. Unlike when the Bank began publishing its exchange rates many decades ago, rates are now readily available from numerous alternative sources (multiple trading platforms, Internet sources and other data vendors). The Bank has kept all past exchange rate data exactly as they are and will not restate or recalculate historical rate data. Data calculated under the old methodology are archived on the Bank’s website. The Bank has kept its various exchange rate lookup tools but has made adjustments to them to reflect these changes while ensuring the integrity of all historical data. 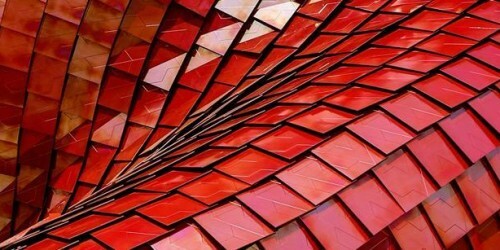 For more information, refer to the calculation methodology. 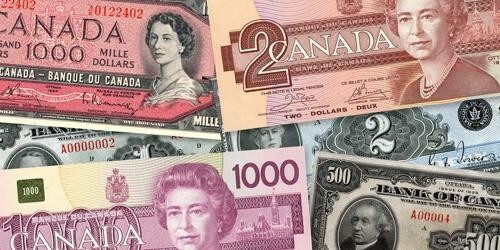 The Bank’s exchange rate pages receive more than one million unique visitors each month, representing 80 per cent of all www.bankofcanada.ca page views. The following list was determined by the results of the 2016 BIS Triennial FX Turnover Survey and the most up-to-date list of Statistics Canada’s International Merchandise Trade Database. This list will be reviewed and adjusted, if necessary, every three years. 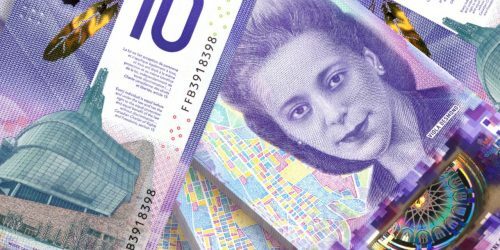 The Bank of Canada today announced a final list of the 26 foreign currency exchange rates that it will continue to publish after 1 March 2017. The Bank of Canada today announced that, effective 1 March 2017, it will make a series of changes to the number, frequency and calculation methodology of its published foreign exchange rates. Results of a 2014 public survey by the Bank regarding the publication of exchange rates.